I have many since I read a lot of books this year alone. My greatest inspiration comes from mainly a few authors: Sarah Alderson, Cassandra Clare, Julie Kagawa and even J.K Rowlings! I had the fortune to come across Sarah's Hunting Lila and was immediately taken by her writing style that I even went to buy the book after borrowing it from the library. I even went on to buying her second book without any reservation. Cassandra spins a wonderful tale of Shadow Hunters. I love the way she describes things and portrays her characters' feelings. The tension between the relationship of the main characters is definitely read-worthy. Julie Kagawa's Iron Fey series is AMAZING! It's complete with emotions, actions and beautiful descriptions. It feels like nothing else exists whenever I read the series. J.K. Rowling's Harry Potter series has accompanied me throughout my growing up stages. Love her magical school. How they inspired me? I love the worlds they have built within their books and they never cease to amaze me whenever I read them. Their books are the best that I've read so far and they greatly inspires me to try to build one of my own. I've heard very good things about Cassandra Clare's work but I've never read any of it myself- its on my list though. I loved Harry Potter too, who doesn't? But I was a bit late and didn't start reading it until last summer haha. 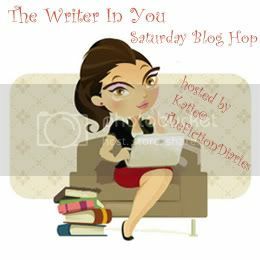 Thanks for having such an interesting blog hop!